The book was left at the Editorial office, without price, but I would expect to pay around 600 baht. With the recent death of the despotic ruler of North Korea, Kim Jong Il, and his son Kim Jong Un taking over, the parallel to Kim Jong Il’s ascendancy from his father Kim Il Sung is apparent. Seven years ago, the book Great Leader, Dear Leader (ISBN 974-9575-69-5) and written by Bertil Lintner, was published (Silkworm Books). 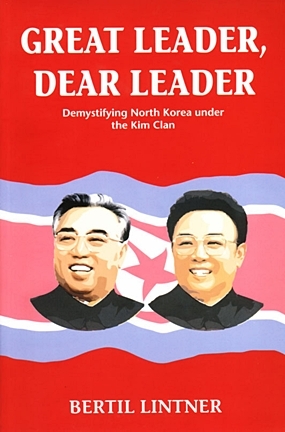 With the current political situation in North Korea looking just as hazardous, if not more, I thought it was apt to publish my review of Great Leader, Dear Leader, Demystifying North Korea under the Kim Clan. In his introduction, Lintner writes, “The North Korean regime has always been perceived by Western - and even Asian - politicians, diplomats and scholars as unpredictable and inscrutable.” It is from that stance, that the book is written. The first chapter is enthralling, as author Lintner describes the historic summit meeting between the leaders of North and South Korea in 2000, but then goes on to lay open the financial scandals that followed. Lintner uses the well proven principle called ‘follow the money’ to find the truth. And the truth proves quite capable of leaving some fairly muddied waters on both side of Korea’s DMZ. He delves into the history of the leader and his son, and again any questioner is presented with legend, folklore, propaganda and fact, all of which requires much deduction. “It is also extremely difficult to separate fact from fantasy and propaganda - both northern and southern - with respect to Kim Il Sung’s past,” writes Lintner. That Kim Il Sung was a guerilla fighter is not doubted at any stage, the differences between his lifestyle and that of his son and current leader of North Korea, Kim Jong Il, is explored, even if just to show the blind faith of his followers. How North Korea became a nuclear power, and allied with others is also demonstrated by ‘following the money’ and it is a chilling tale. As befits any resource material, the book also features a chronology of important dates from 1910, a Who’s Who, Notes from the copious annotations throughout the book and a detailed Bibliography. This is not a novel. This is a serious factual publication. Lintner takes the reader on a true literary voyage of discovery on a subject that not many of us have had the opportunity to explore, and does it in a very readable fashion. It is important in the overall scheme of global overviews that we have some reasonably credible, factual building blocks, and not biased propaganda. I believe Bertil Lintner eschews propaganda, and has presented the real facts to my satisfaction. You can make your own decision after visiting any bookstore that stocks better quality books. A ‘must read’ for any Asiaphile. Otherwise it is in stock via Amazon. And a very informative read. Another book on life (and death) in Thailand’s prisons. This one, A prayer before dawn and subtitled A nightmare in Thailand (ISBN 978-616-7111-20-9, Bamboo Sinfonia, 2012) was written by Billy Moore, an English likely lad. 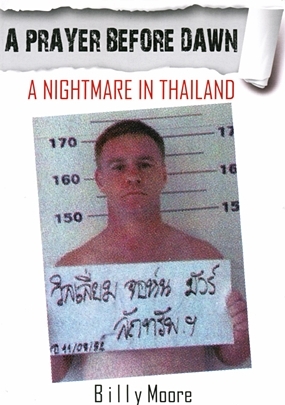 Author Billy Moore comes from that background, and although he does not use this to excuse his actions, which end up having him incarcerated in Thailand, it becomes part of his case history. This genre of book has probably had more than its fair share of published offerings, and every foreign jail bird appears as a frustrated author. There is no doubting that Klong Prem is not where one would choose for one’s self, but it is probably just the fact that we know we will be horror-stricken that keeps us coming back for more. However, it is well written (which makes me think there was perhaps a ghost writer) and at 450 baht an inexpensive look into a life of drugs. Available at Bookazine, AsiaBooks, DK Post Office, DK Central Road, DCO Thai on-line. If You Can’t Stand the Fun, Stay Out of the Go-Go is another title from local publisher Bamboo Sinfonia (ISBN 978-616-7111-24-7, 2011) written by William Peskett, a retired Brit who has obviously spent some time in different cultures. He has already published two books of poetry and two novels, so he is no tyro to the genre. 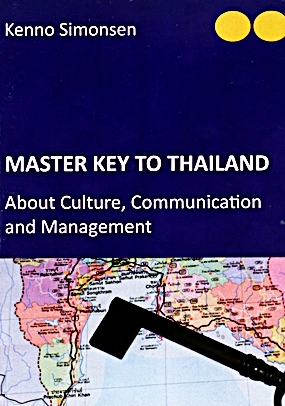 This particular book is an anthology of columns which were printed in the fortnightly newspaper Pattaya Today, the 92 short chapters representing over three and a half years of newspaper editions, so there is a fair to middling chance that some prospective customers may have read sections already. However, on the pro side, with 92 columns why not publish them in book form rather than let them become chip wrappers, the fate of all newspapers (even this one). But there is also a downside to this. In a fortnightly column, with many readers who may be first-timers, it becomes necessary to introduce the main players and the environment with each column, but with a book, that introduction needs to be done only one time. His wife for example gets an introduction every chapter “The woman of my dreams and custodian of my loving heart.” Right, I know who that is, it doesn’t need repeating to the book reader chapter by chapter. While I am in the gripes, let’s get the last one out of the way. In his columns he uses a pen name, in this case K. Pobaan, but when you have your real name plastered all over the front cover, K. Pobaan’s cover is blown. I firmly believe he would have better served his readers of the book, by just being William Peskett. 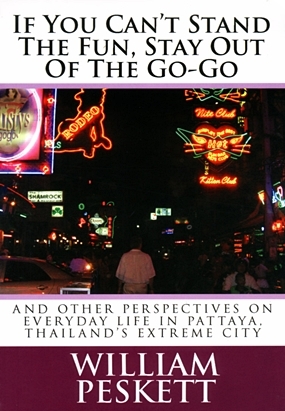 The book is centered mainly in Pattaya, on Soi Khao Talo, otherwise known as the “dark side”. When author Peskett and the woman of his dreams moves there, it was practically deserted. It is no more, as Pattaya has grown. As it has grown, mind you, it has opened up a writer’s eye to many opportunities, and author Peskett avails himself of those very well. He discusses the origins of the rubber mud flap art, and decided it was the Bee Gee’s, but I am with his friend who claimed it was Kris Kristofferson. Despite my negativity in some ways, it is still an amusing book, and anyone married to a Thai lady will recognize all the cultural nuances and traps. Life for a foreigner here can never be dull (unless the foreigner is himself a certified dullard), and Peskett is a good raconteur. The book should be available in Bookazine/Asia Books with an RRP of B. 395. Pattaya old hands will enjoy it.